When I stayed in Albania with my good friend Ida, her welcoming mother presented this delicious soup at the beginning of every evening meal. 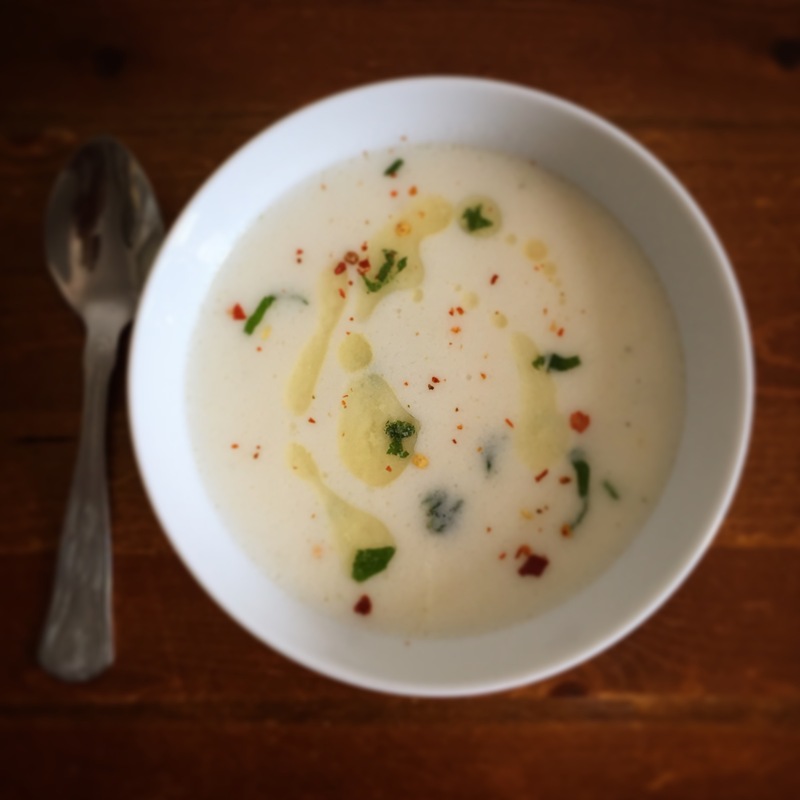 Similar to Turkish yayla (yogurt soup), this soup is massively comforting. Its a safe bet for fussy toddlers and an effective hangover cure (trust me on that!). Butter – as much or as little as you want, I usually use 1 1/2 tbsp. Gently boil pasta in chicken stock until soft. Meanwhile mix the yogurt, flour and egg in a bowl. Once pasta is soft turn heat off and add a ladle of stock to the yogurt mixture, mix, then add another, then a third. By adding ladles of stock to the yogurt this ensures the mixture wont curdle when added to main pot. Add yogurt mix to stock pot, stirring. Turn heat back on to the lowest flame and stir until soup thickens. Do not allow to boil, let the soup steam. Melt a little butter in a small pan and when it starts to sizzle, add mint leaves. After no more than 10/15 seconds add mixture to the soup and serve. Es rica gracias por compartir !